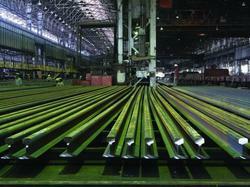 Prominent & Leading Wholesale Trader from Ghaziabad, we offer sail ms rail and ms rail. 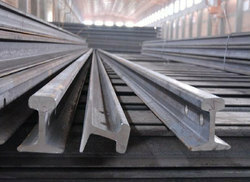 Product nomenclature for 13 m & 26 m is RAIL and for 130 m & 260 m is LONG RAIL PANEL. 1. Hydrogen content 1.6 ppm Max & Aluminium .015 max. Bhilai Steel Plant can also produce rails as per specifications of the union of international railways and other foreign specifications, like British standard or Japanese industrial standards if sufficient orders are available. Looking for Railway Line ?